From Design-Bid-Build projects in the 1960s to Integrated Project Delivery (IPD) today, Sherman Construction has been a leader in project delivery approaches that best fit our clients needs. Over the past five years, over 85% of Sherman Construction’s projects have been CM at-Risk or Design-Build. 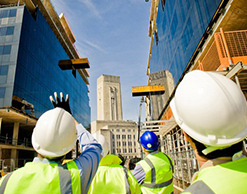 These project delivery approaches integrate the owner, design team, construction manager and subcontractors into a collaborative unit that maximizes efficiency through all phases of the project. 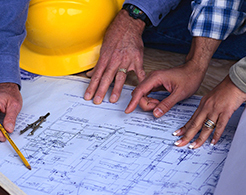 The foundation of any of Sherman Construction’s CM at-Risk or Design-Build projects is pre-construction. The Pre-Construction stage of the project is where the owner, design team, and CM define goals and objectives. Sherman Construction utilizes our experience and collaborative spirit to provide both owner and architect with the tools to be effective and efficient with time management and budget. In collaboration with the team, Sherman Construction creates a road map for design decisions pertaining to budget, specific project scope, and project schedule. Sherman Construction’s growth over the past few years has included adding Virtual Design & Construction (VDC) to our preconstruction and construction management processes. By using BIM and related technology throughout the project lifecycle (pursuit to closeout), Sherman Construction is able improve speed and maintain budget integrity on any project. We are constantly updating our use of technology to improve safety, quality and productivity during construction. Just a few years ago, BIM was a novel approach that offered great potential, but wasn’t practical for project management. Today, BIM has become the cornerstone for most AEC firms. Taking BIM to the next level and incorporating a comprehensive virtual design and technology approach is a central component to Sherman Construction’s long-term business strategy and future growth. 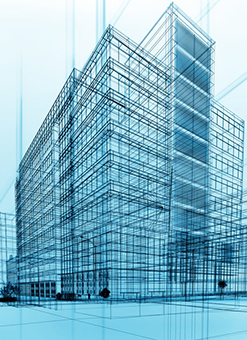 These technologies continually impact the way buildings are designed, built, and maintained. Sherman Construction believes that maintaining a First-Class Safety Program directly impacts the success of every project. An on-staff, dedicated Safety/Quality Director is a vital part of Sherman Construction’s excellent safety record. 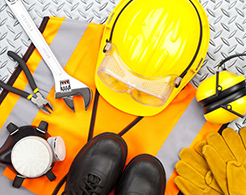 Through corporate safety training and inspections on every project, Toolbox Safety Meetings provided to field staff and comprehensive Safety Reporting, Sherman Construction takes the steps to deliver safe projects for everyone involved. Our exemplary safety record has been recognized consistently by National and Regional AGC Groups.